An exceptionally original 1963 Mercedes Benz 300 SL Roadster and a 1956 Gullwing are highlights of the Artcurial Le Mans classic car auction in July 2018. 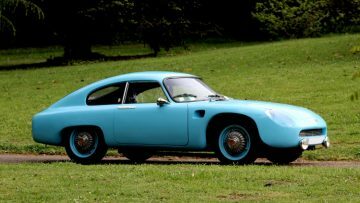 Artcurial’s classic car auctions always have an interesting variety of rare cars on offer and the Le Mans Classics 2018 sale will be no exception. 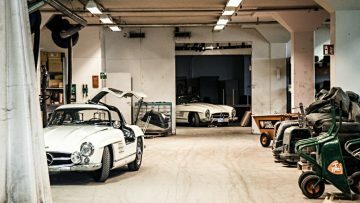 Two Mercedes Benz 300 SLs owned by a Swedish dentist are two exciting finds: the exceptionally original 1963 Mercedes Benz 300 SL Roadster, estimate $1,8 – 2,4 million has covered only 1,380 km since new while the 1956 Mercedes Benz 300 SL Gullwing, estimate $1,2 – 1,8 million, had been in his ownership for the past six decades. Both are offered without reserve. These two cars join the 1969 Ferrari 365 GTB4/ Daytona Group IV, estimate $8 – 9,3 million, that finished Le Mans fifth overall. Around 100 cars will be on offer. Artcurial’s annual Le Mans Classics sale during the Le Mans historic racing weekend will take place on 7 July 2018. Around 100 cars will be on offer ranging from rare exotics – not necessarily expensive – to some of the most desirable modern supercars. Two of the highlights of the Artcurial Le Mans Classic 2018 classic car auction will undoubtedly be the two Mercedes Benz 300 SL cars owned by the Swedish dentist Gunnar Giermark who died in 2011. He bought the Roadster new and drove it for only 1,380 km. 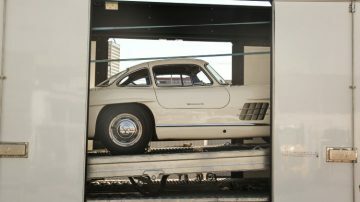 He bought the Gullwing in 1968 and it also has fairly low mileage at 62,000 km. The two Mercedes Benz 300 SLs are being sold by the Swedish Inheritance Fund, a Government-regulated non-profit making organisation that supports young and disabled people using unclaimed inheritance. Both 300SLs will be offered with no reserve – something that would have been risky a year or two ago but prices for these models have firmed again at recent auctions. The record price for a Roadster was set at $2,035,000 at the Gooding Amelia Island 2014 sale while a Gullwing sold for $2,530,000 at RM Monterey 2014. Prices were mostly weaker in 2015, 2016 and most of 2017 but at recent auctions, both models have again achieved above $1.5 million at auction for good examples. Gunnar Giermark, was a well-respected dental surgeon from Sweden, with a dental clinic in the most affluent part of Stockholm. He was an avid collector of jewellery, silver, watches and furniture, as well as cars. An eccentric and private man who rarely invited friends into his home, his collecting extended to less valuable objects including newspapers and bottles. If items were available in different versions or colours, he would buy one of each. Unwilling to dispose of anything, he soon ran out of space in his flat and bought a second home outside Stockholm that also quickly filled up. The most valuable car in Giermark’s collection was a 1963 Mercedes Benz 300 SL Roadster, estimate: €1,5 – 2 million / $1,8 – 2,4 million. This low mileage car in extraordinary original condition may to set a new model record in a market that values originality. The Roadster was sold new in Sweden to Gunnar Giermark on 7 July 1963. He only drove the car occasionally and when he moved it into storage at his country house, it had covered a mere 1,380km – the mileage it has today! 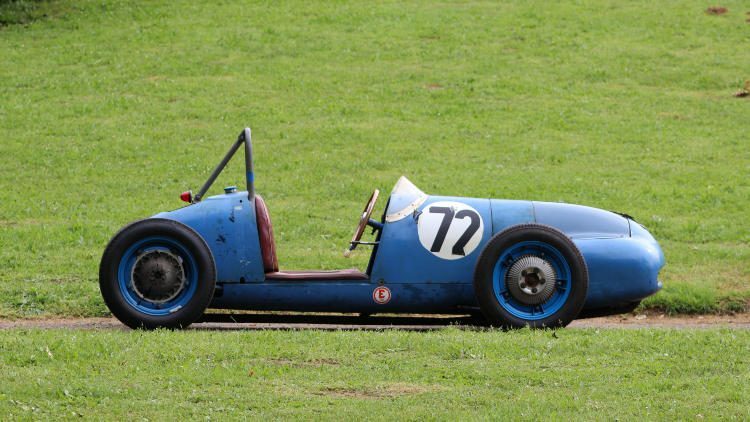 The car was last taxed in 1966 and has been hidden away, untouched for decades. This is a highly original example of the last and most highly sought-after version of the Roadster, with disc brakes and aluminium engine block. Just 57 examples were built in 1963, making it particularly rare. In extraordinarily original condition, well preserved from humidity, it comes with its hard-top and all the original manuals and paperwork. In contrast to the Roadster, Giermark acquired his 1956 Mercedes Benz 300 SL Gullwing, estimate: €1 – 1,5 million / $1,2 – 1,8 million secondhand in March 1968. It was imported from Portugal where it had been delivered new on 21 July 1956. The mileage today stands at 62,000km and the car comes with all its original manuals. Research is currently being carried out to discover details of its Portuguese past. When Gunar Giermark died in 2011 without heirs, security was put in place by his friends to protect the cars. Over the next five years several people came forward with a claim to the cars but, in each case, the court ruled against the claimants. In 2017 the Swedish government-regulated fund for unclaimed inheritance took ownership of both cars, and have appointed Artcurial Motorcars to offer them for sale in July 2018 at Le Mans. A Le Mans participating 1969 Ferrari 365 GTB4/ Daytona Group IV, estimate: €6,5 – 7,5 million / $8 – 9,3 million, is likely to be the most-expensive car at the Artcurial Le Mans Classics 2018 sale. 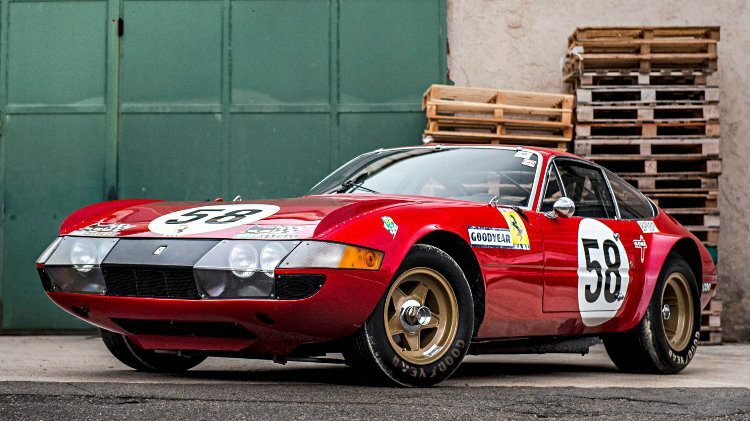 This 1969 Ferrari 365 GTB4/ Daytona Group IV was sold by the factory directly to Luigi Chinetti in April 1971. This factory prototype finished 5th overall in the 1971 Le Mans 24 Hours driven by Chinetti/Grossman, and won the 1971 Energy Index. With great racing history, this powerful Daytona Gr.IV #12467 is one of only 15 competition versions built by the factory. 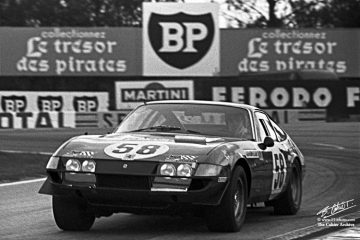 See 1969 Ferrari 365 GTB4/ Daytona Group IV Announcement for more on this car. And a 1965 Porsche 911 SWB (estimate: 140 000 – 200 000 € / 168 000 – 240 000 $) that is eligible for the new Peter Auto race, the 2 Litre Cup.